For the past 20 years All About Ice Europe have been instrumental in creating the most amazing and stunning ice bars for many events across the United Kingdom and Europe. We have the ability to create bars from 2 meters to 20 + meters. We can include your design on the front of the ice bars, keeping in theme with your corporate logo or party or wedding theme. Bespoke ice bars from two meters to 30 meters. Once you have decided on your size of your ice bar we can then produce this with your own design. We have full liability insurance and offer risk and method statements should your venue need them. 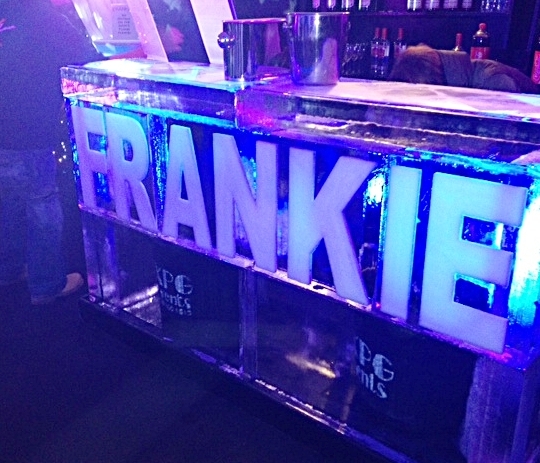 With all our Ice bars we offer a full setup and monitor including take-down and removal at the end of the event. Interested in an ice bar?